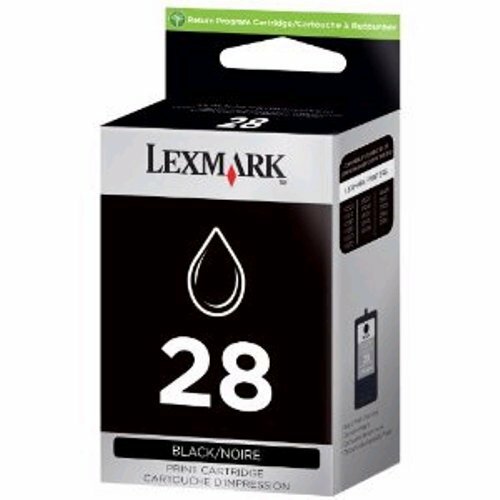 Ink cartridge is designed for use with Lexmark x2500, x2510, x2530, x2550, x5070, x5075, x5320, x5340, x5410, x5495, Z740, Z845, Z1300, Z1310 and Z1320. 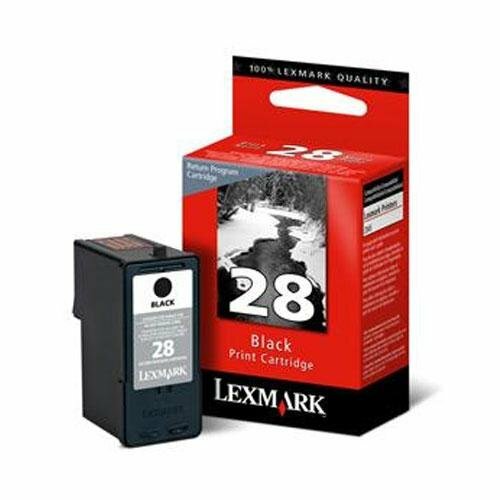 Only a variable amount of ink remains when this cartridge must be replaced. This is a no refillable cartridge licensed for single use only. Return empty cartridge only to Lexmark for remanufacturing, refilling or recycling. Designed with high-resolution pigmented black ink. Prints business-quality text and graphic documents with high visual impact at unprecedented speeds. Redundant nozzles-if one nozzle fails the other continues to ensure consistent print quality. 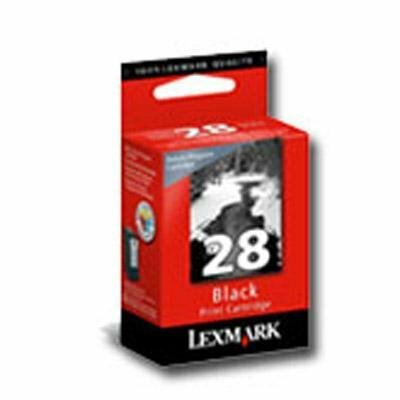 Device Types: Inkjet Printer; Color(s): Black; Page-Yield: 175; Supply Type: Ink. Replaces the Following Manufacturer Numbers: 18C1428 (No. 28). 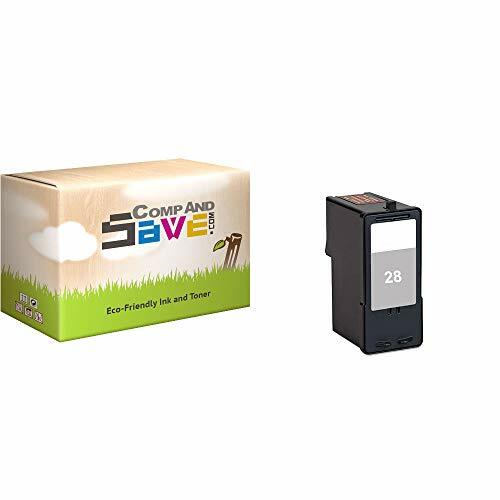 Compatible with the Following Printer Models: X2500, X2530, X2550, X5070, X5075, X5320, X5340, X5410, X5495, Z1300, Z1310, Z1320, Z845. The Excellent Quality Black Print Cartridge 28 - Black Return Program Print Cartridge #28- This high-resolution black cartridge uses Lexmark's exclusive pigmented black ink. This ink coupled with an increased number of printhead nozzles and swath size, enables consumers to consistently produce high-quality prints at unprecedented print speeds. This cartrige contains redundant nozzles, which help ensure consistent print quality. Nozzles are laid out in pairs, so if one becomes clogged or fails, the other continues to print. 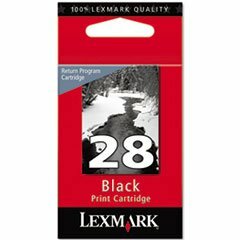 Since 1997, DoorStepInk has been leading the way in American made high quality remanufactured ink cartridges. We hold our standards of quality to such a high level that we confidently guarantee 100% satisfaction guarantee backed by a lifetime warranty. Every single cartridge we remanufacture is completely cleaned from any old ink residues. 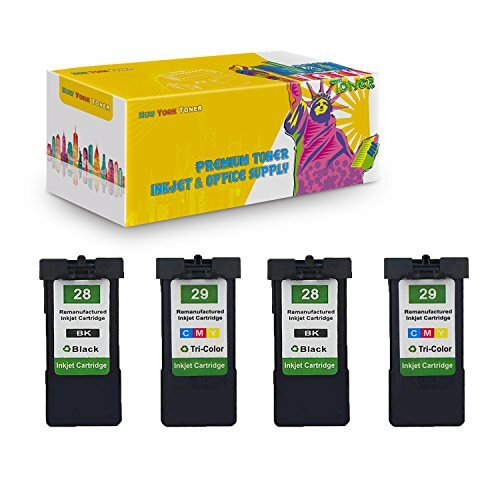 The cartridges are filled to O.E.M capacity using the highest quality ink formulated in the USA and print tested for quality assurance using the most advanced inkjet equipment. 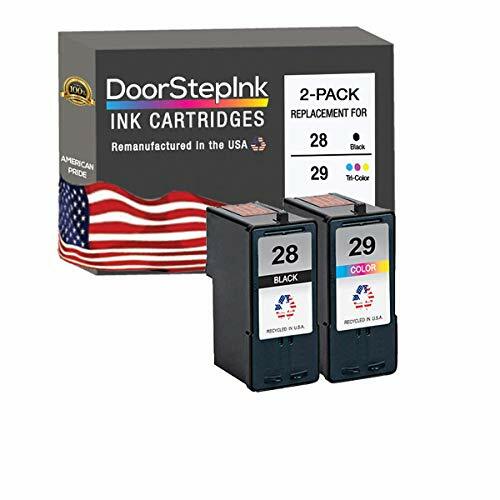 Advantages when buying a DoorStepInk Remanufactured Ink Cartridge | Save up to 70% off on original manufacturer cartridges | High Quality Guaranteed | Meets O.E.M page yield | Good for the Environment | Support a U.S Manufacture | Ink Level Indicator will not work for this model cartridge even though the cartridge is filled to capacity. You will be required to ignore the Low Ink Level Indicator during the installation process and every time you print. 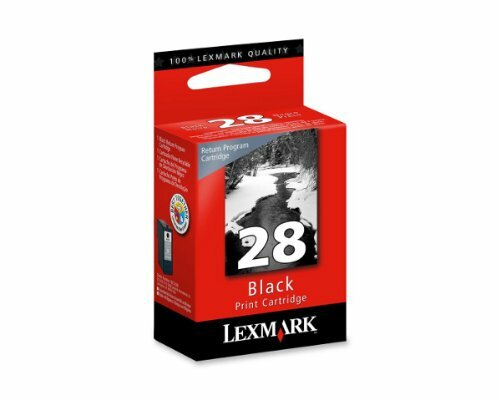 Designed with high-resolution pigmented black ink. Prints business-quality text and graphic documents with high visual impact at unprecedented speeds. Redundant nozzles--if one nozzle fails the other continues to ensure consistent print quality. 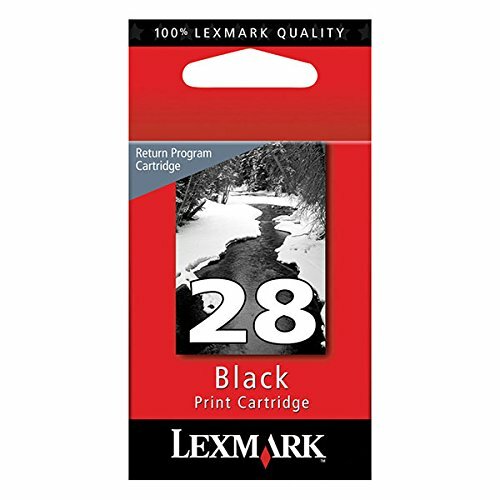 Device Types: Inkjet Printer; Color(s): Black; Page-Yield: 175; Supply Type: Ink. 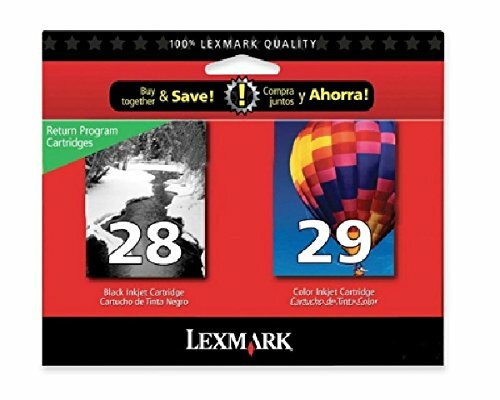 Designed with high-resolution pigmented black ink. Prints business-quality text and graphic documents with high visual impact at unprecedented speeds. Redundant nozzlesif one nozzle fails the other continues to ensure consistent print quality. 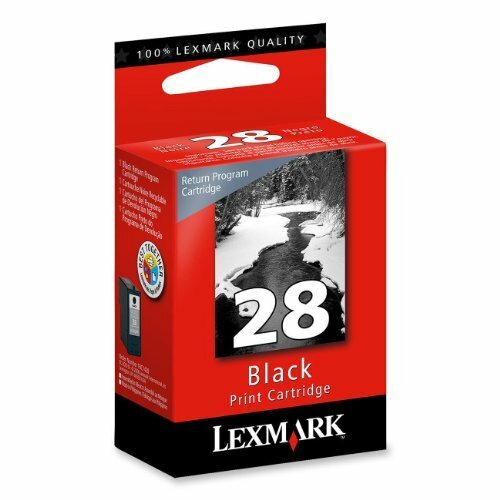 Device Types: Inkjet Printer Colors: Black Page-Yield: 175 Supply Type: Ink. 18C1428 Lexmark 18C1428 (#28) OEM Genuine Black Ink Cartridge (Lexmark Return Program) for X2500, X2530, X2550, Z1300, Z1310, Z1320, Z845 Inkjet Printers. 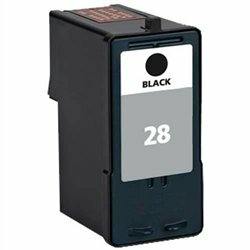 Compare prices on 18c1428 Black Ink at Elevelist.com – use promo codes and coupons for best offers and deals. We work hard to get you amazing deals and collect all avail hot offers online and represent it in one place for the customers. Now our visitors can leverage benefits of big brands and heavy discounts available for that day and for famous brands.